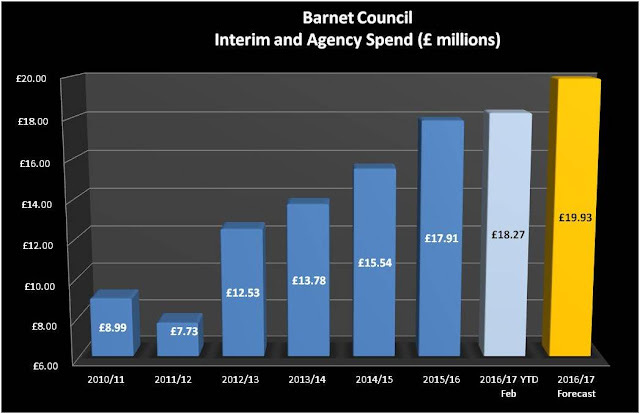 Barnet's supplier payments for February have been published and as usual I have gone through them in some detail. 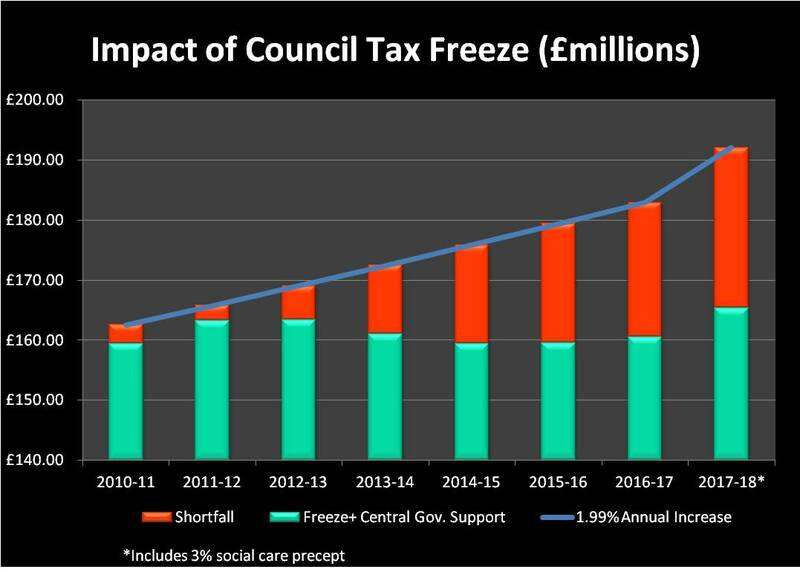 One set of payments jumped out of the spreadsheet which was to Capita. There were 14 payments and two small credits amounting to a total of £1,321,887.55 which were designated as "CSG Services Contract Payment". So what you may say? Well, on 15 November 2016 Councillors agreed to make an advance payment to Capita of £26.9 million to cover CSG contract payments for 2017 and this formed part of the £39 million paid to Capita on the CSG contract in December. This was supposed to generate a saving of £500,000 which is due to be paid on 3 April (based on a response to a specific question I asked in February). So we have paid £26.9 million up front, we haven't had the savings payment yet but nevertheless we still paid Capita another £1.32 million. To my mind this is unacceptable. No further payments should have been made to Capita on the CSG contract until the entire £26.9m advance payment has been exhausted. It also rubs salt into the wound that we still haven't been credited the £500,000 saving yet. I would also point out that within the Re contract payments, which are also made to Capita, there is a payment classified as "CSG Services Contract Payment" for £167,500. This should have either been included under the Capita payments or has been incorrectly labelled. Either way it is poor practice. What I want to know is who is monitoring these payments (other than me) and why are these payments being made? Maybe one of the many readers within Capita or Barnet Council who visit my blog daily would care to give me an explanation. So far Barnet have paid Capita £273 million on the two contracts. That is £102 million more than the contracted value yet everyone maintains these contracts are saving money. I can't find those savings! The other long running sore is the contract for interim and agency staff with Comensura. In February Comensura billed £1.68 million bringing the year to date total to £18.3 million with a month still to go and an estimated year end cost of a shade under £20 million. That equates to £400,000 a week from which 4 separate organisations take a commission. Barnet have now conceded they can't run the council without all these agency staff as was disclosed during the budget setting meeting. 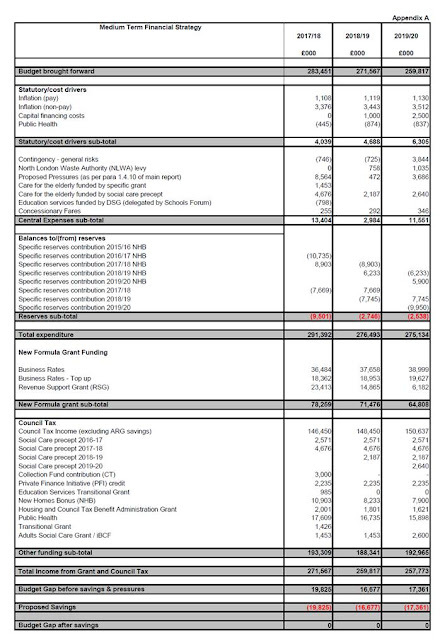 Cllr Jack Cohen had put forward an alternative budget which included significant cuts to agency staff but had those savings capped by Council Officers at just £129,500 for the entire year or just 0.6% of the annual cost as he was told the council couldn't operate without those staff. That does not strike me as an efficient organisation.